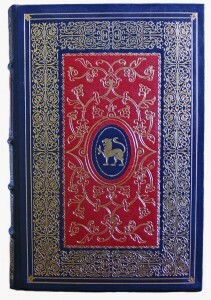 The Book Boutique is a division of our parent company, Advantage Book Binding. The Book Boutique utilizes the experience and time honored craftsmanship of Advantage Book Binding, a leading trade bindery, with nearly 35 years of award-winning specialty finishing and binding excellence. The results are some of the most innovative book products, ranging from custom leather books to custom-designed wedding and funeral guest books, from limited edition works of commemorative book art to coffee table books, from vanity books to art books, from bound magazine collections to unique self-published runs, and from creatively collected and bound mementos to specialty book boxes and slip cases for keepsake books. The history of books amounts to the history and collection of our accumulated knowledge, preserving humanity’s story. Our history has survived on paper for literally a millennia – think about that the next time your computer crashes! 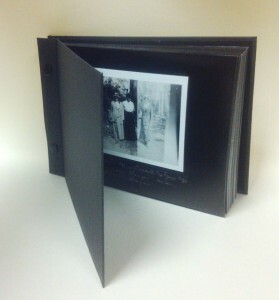 As a result, many family paper mementos, photographs or stories are best preserved in ink and paper books, perhaps with a protective slipcase or clamshell box. Binding collections of letters or magazines, or designing the perfect look for your self-published book is a way to preserve that knowledge, memory, or artistic expression. Custom handwork, skilled designers and all the resources of a leading trade bindery like Advantage Book Binding can bring your project to life. Advantage Book Binding’s Book Boutique can provide specialty finishing, such as foil stamping or embossing; the perfect materials, including custom leather or silk; and many other artistic custom features. 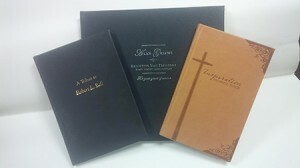 The Book Boutique benefits from Advantage Book Binding’s resources as a trade bindery, which include the ability to produce one or two books for an individual or family, as well as the ability to produce larger runs for VIP gifts, self-publishing runs, and corporate limited edition runs. We have the ability to give your project class, funk or that personalized feel through our specialty packaging department. This ability to employ our craftsmen and women in making custom book projects, also allows us to make custom repairs and renovations to treasured volumes in your personal, family or community collections. The talented custom handwork at your service can repair books and Bibles that have seen hard use, been subject to environmental damage, or have simply been worn down by time. We can provide new covers, protective cases or boxes, and specialty finishing, such as foil stamping or embossing. Custom leather book covers can replace worn covers for added durability and classic looks. With the increase of public domain availability, we can print on-demand books that are approved electronic editions. This is great for out-of-print editions or independently published works that are printed on demand, plus a selection of bestsellers. Personal histories and family gifts Do you have the pieces of your family’s unique story? Photographs, family documents and a little research give you a story that is all your own! Bring it to the design team at The Book Boutique and we’ll construct the perfect keepsake to preserve your history and share it with future generations. Company histories and portfolios Our communities thrive and grow on the entrepreneurial spirit of our neighbors. Signs and buildings become local landmarks even as they support economic prosperity. Collect and bind your company history or a projects portfolio to share with your family and your community, your best clients and the local library, longtime employees and prospective investors! 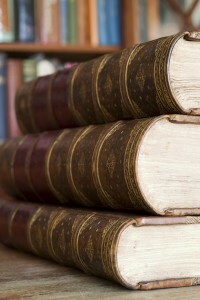 Your treasured volumes Many of us have books on our shelves that are older than we are, handed down to us as heirlooms. Perhaps your company has handwritten record books you need to keep. Time has taken its toll, but the books mean more than the sum of their parts to us. We can renew these books and return them to you so you can continue to use them and keep them. Self-published book runs Have you written a book that you want to self-publish in a smaller run? Bring it to us! We can make that run a reality. From children’s books to local interest, from novels to scholarly research, from educational readers to instruction manuals, we will work with you to bring your ideas to life. Daily-use books Do you have a book you use daily or weekly? Does it show? If you need to keep using it regularly, we’ll fix it so you don’t lose any of it or damage it further. Maybe you could replace it, but if it was a gift or if it has your personal notes in it, we understand that you just don’t want a new one! We’ll revive the one you love. Rare and valuable books Do you have books in a poor state for which repairs are not an option because it will irrevocably harm their value? A clamshell box is in order. It will contain the book and protect it from outside and environmental damage, even minimize the effects of fire and water. Corporate gift-giving taken up a notch Whether you want custom containers to feature specialized products or personalized packaging for gifts and swag, we can make it for you! We can stamp names of recipients or company logos onto lids. We can match materials and colors however you need them. It is the perfect complement to your product with added personal touch! A keepsake book Come to us for a keepsake book of that once-in-a-lifetime trip you took or you can make a book for your graduate, a wedding, an anniversary or to commemorate an event. Don’t leave your photographs languishing in digital files — make a book instead! We can make a matching clamshell box, clamshell picture frame, or both! Showcase your luxury products or create that custom specialty gift for someone who is dear to you. Sometimes it takes the right materials to give your ideas that “over the top” result. With the use of vibrant colors, plush silks and leather, The Book Boutique can give you style like no other. Tablet Cases, Journals, Clamshell Boxes and Slipcases We can do a lot of gifts and gift boxes, but our hearts are with our books and we make the best book gifts you’ll find. Our expert staff will help you design your gift and bring your ideas to life for that special person.